Optimize Worldwide prides itself on being a full service web design and online marketing firm that can offer local and national businesses everything they need to succeed at building a strong online presence. With the ever-evolving state of the Internet and the way Google continues to add to its list of factors it uses to determine search ranking, we understand that in order for our clients’ companies to grow and rise above the competition, they must continue to find innovative ways to grab the attention of consumers and show what sets their services and products apart from others in the same industry. That is why we are pleased to announce a new service, animated video production, to give your current branding and marketing efforts a boost. 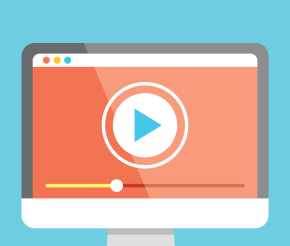 Studies have shown that video has great impact on consumers, and it’s time for businesses to start leveraging that interest and engagement to help them attain a larger customer reach. Let us help you utilize your content more creatively to put together an eye-catching and unique video that brings your business to life and promotes it in a way that will actually make people pay attention to what you have to offer. Our in-house animated video production service presents you with an affordable way to design a visual representation of your company that will translate well onto any online platform. Don’t miss out on a marketing opportunity that many other businesses are already taking advantage of! For more information on having your own animated video produced by Optimize Worldwide, click here or contact a team member today.